Family Seek is a great little mobile app from the creators of CreateFan that we previously reviewed, which automatically creates a fan-style family tree for you. 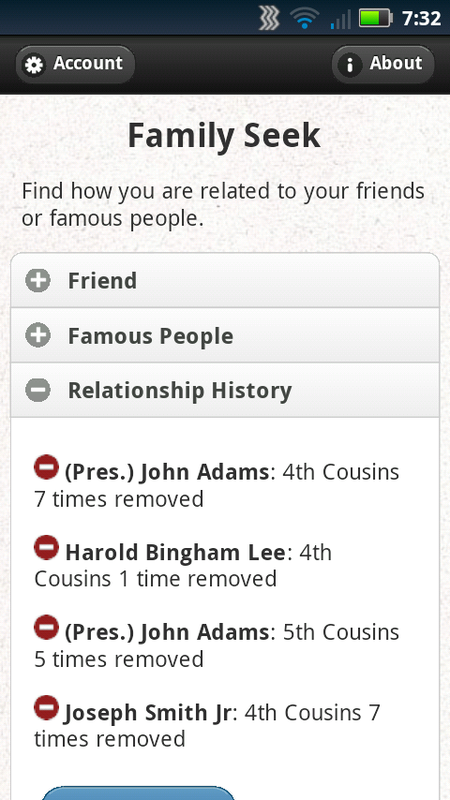 Family Seek allows you to quickly determine how you’re related to a growing list of Prophets, Presidents, and other famous people via a menu. All you need to get started is an LDS Account and the app. It’s available for Android right now, and on other devices (including a computer) via the browser at this URL: https://treeseek.com/mobile/familyseek. Just like CreateFan, you’ll just need to give it access to your new.FamilySearch.org account so it can access your family tree. Then it can quickly calculate relationships to friends, and famous people. If you’d like to get a famous person added to the growing list, you can email the person’s FamilySearch Person ID number to info@treeseek.com and they’ll get them added to the app. Because the app loads this data from their website, you don’t get a notification that you’ll need to update the app, every time the update the list. What ways will you use Family Seek? I love this app!! Thanks for sharing! Pretty cool app and website. Works good. 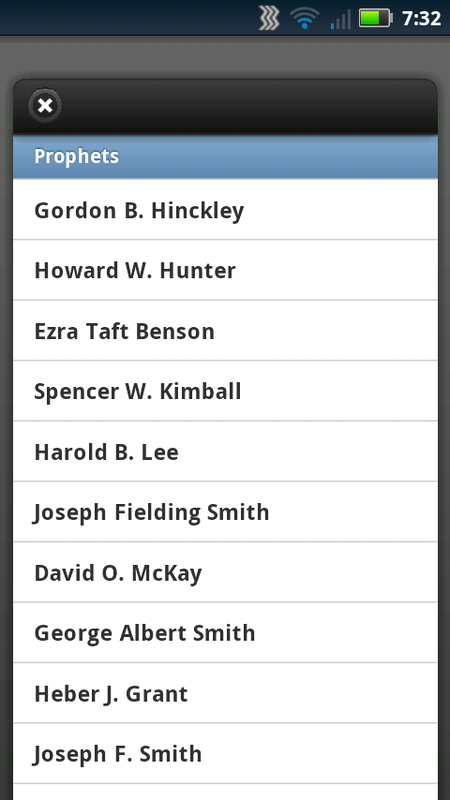 App only has one US president now, but pretty easy to find other presidents on new.familysearch.org. Found my distant realtion to almost all the prophets and most of the presidents (thanks to my great aunt doing tons of research back when there were no computers to help). Neat site! I did happen to find out that my husband is a direct 5th cousin which was interesting, but I guess when you both come from pioneer stock it happens.